Although the month of October was dedicated to the wines of Shannon Ridge, we're ending it with a wine that is not one of theirs. Left Coast Cellars is back yet again! Yep! 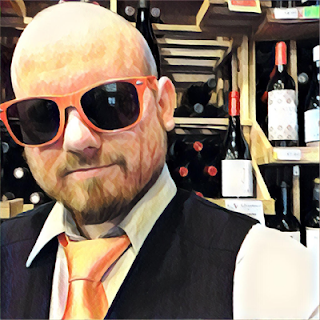 I've done plenty of reviews of Left Coast Cellars' wines over the years, and you can read them all by clicking here. This winery is out of Willamette Valley, Oregon and was founded in 2003. With 350 acres of land and 130 acres of vineyards, they use sustainable viticulture to produce only estate-grown wine. They're LIVE Certified Sustainable, Salmon Safe Certified, and are one of fourteen wineries to complete the Oregon Environmental Council's Carbon Reduction Challenge. All of the power for the guest cottages, the front gate, and the vineyard irrigation is run by solar power, and use a big chunk of their land for their Oak Savanna Restoration Project. They are very environmentally conscious. This is the 2017 White Pinot Noir! I know what you're thinking. "Did he just say WHITE Pinot Noir?" Yes, I did! As I explained in my review of their 2016 White Pinot Noir a few weeks over a year ago: By not allowing skin contact and treating Pinot Noir like a white grape, you can make some very cool white wine. Hell, it's one of the grapes used in Champagne and other sparkling wines. Non-sparkling White Pinot Noir's are also freakin' awesome! Willamette Valley is freakin' awesome! I'm really looking forward to this one. And I'm looking forward to it again this year because I loved last year's vintage. The color of the wine is yet again a light copper. On the nose there's aromas of apple, apricot, orange blossom, lemon zest, and little bit of a peppery kick. It's full bodied with a lush and silky mouthfeel, and there's a nice tart acidity but not as powerful as it was in the 2016 vintage. There's aromas of peaches, lemon, oranges, and chives. Then it finishes with lemon, orange pith, and white pepper. 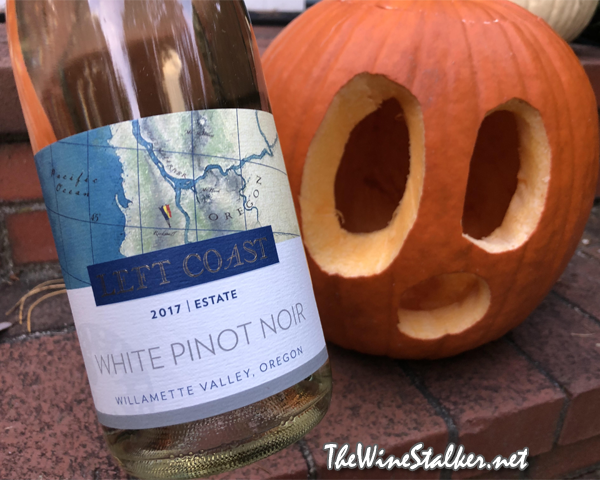 Again, Left Coast KILLS it with their White Pinot Noir. I'm going to even up the score over last year's because they SLASHED that little bit of sweetness and SAWED IN HALF the tart acidity. This is perfectly rounded with everything playing wonderfully together and nothing standing up SCREECHING for attenting. I enjoyed this wine so much that, dare I say, it could make me commit... MURDER??? MWAHAHAHAHA!!!! Have a Happy Halloween! Don't do anything stupid, ya knucklehead.